It’s been awhile since I’ve been this excited about a bag – excited enough to be buzz-worthy! Today I am sharing a look at my new every day backpack purse. I dub this my “diaper purse” because it functions as both a personal handbag and a mini diaper bag. 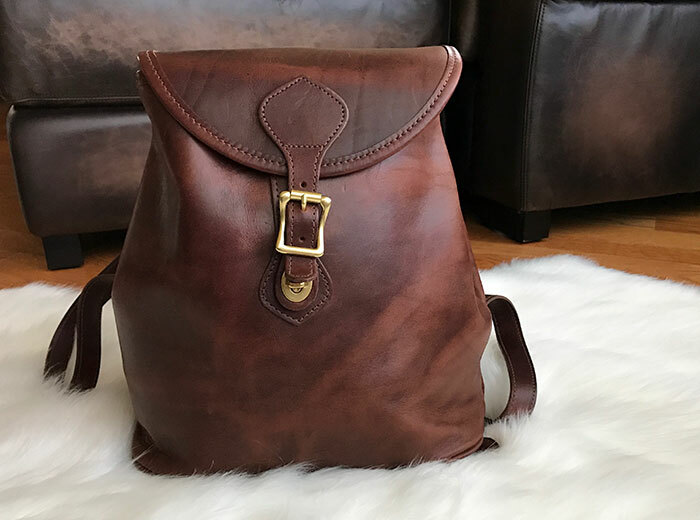 This gorgeous leather backpack is the perfect meeting of form and function and suits all of my needs on-the-go as a Mom. Within a month of giving birth to my daughter Charlotte, I realized I wasn’t going to carry around a fully stocked diaper bag every day. I think that works great for lots of Moms, but I quickly found out it didn’t suit me. I do have a diaper backpack that is perfect for travel or full day outings, but it’s more than I need to carry on a daily basis. I knew I wanted to stick with a backpack, since that’s been my handbag style of choice over the last couple of years. I also had my heart set on a gorgeous leather bag. The main feature I was looking for was a back zip pocket so I can access my wallet and phone without having to take the bag off. Bonus points if the bag didn’t have a drawstring closure, which I find a bit cumbersome. This narrowed down the list of available options quite a bit! As soon as I saw the J.W. Hulme Co. Legacy Backpack I knew I had found the one. 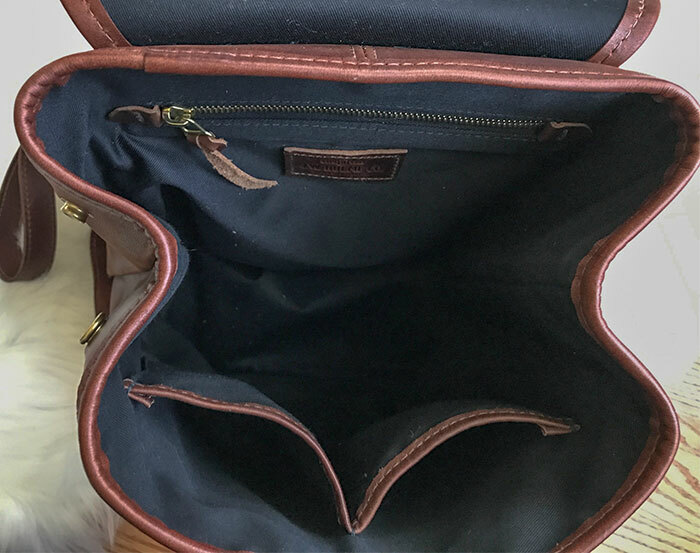 It has all of the features I was looking for: beautiful leather, simple construction, a back zip pocket, medium size, and no pesky drawstring. Perfection! It was love at first sight. I’ve had it for a couple of months and couldn’t be happier with it. It truly is the perfect bag for me right now in terms of fit, style, and function. The backpack is made from American Heritage full-grain leather with solid brass hardware. It is lined in a black twill-like fabric. There’s an exterior zip pocket on the back and one zip and two slip pockets on the inside. It has a hidden turn-lock closure underneath a beautiful buckle and includes snaps instead of a drawstring to provide wider access through the top. The bag measures 11.375″ wide (bottom) x 8.75″ wide (top snapped) / 13.375″ wide (top unsnapped) x 13″ high x 5.375″ deep. It weighs 2.15 pounds, which is relatively light considering the thickness of the leather and the brass hardware. The leather straps are adjustable and detachable. A top handle makes it easy to grab on the way out the door. This backpack is beautiful, both inside and out! You can see a bird’s eye view of how I currently pack the bag in the photo above with both my own and my daughter’s things. I’m a big fan of vertical organization using pouches to keep like items together, contained, and easy to locate. The only loose item floating about is a teething toy that I tend to reach for frequently. Everything else has its own place in the bag. I’ve found that packing the pouches in this way keeps the bottom of the bag full to help the leather retain its shape. 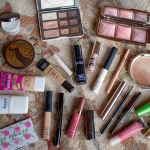 It also leaves room for me to pop in any additional items I don’t necessarily bring out with me all of the time. I can easily throw in a sippy cup or jacket for Charlotte depending on our plans for the day. 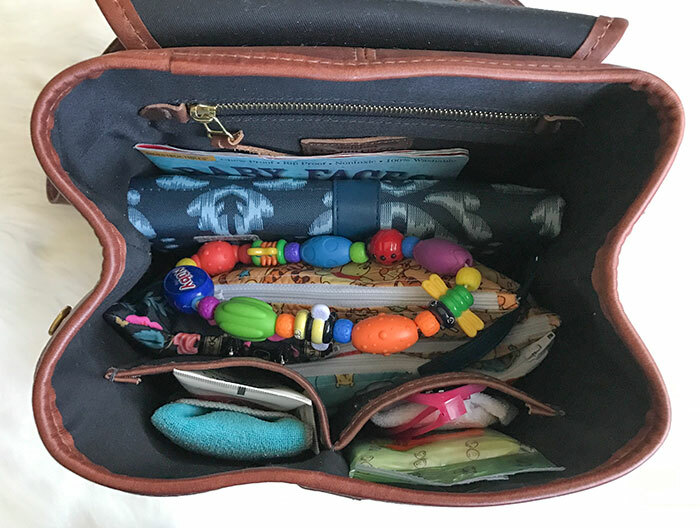 Although my bag is now mostly dedicated to storing baby things, I keep a few of my own personal effects that I like to have with me on-the-go, as well. The magenta Louis Vuitton Key Pouch acts as my wallet and houses my car key. This fits nicely into the exterior back zip pocket I was so keen on having! 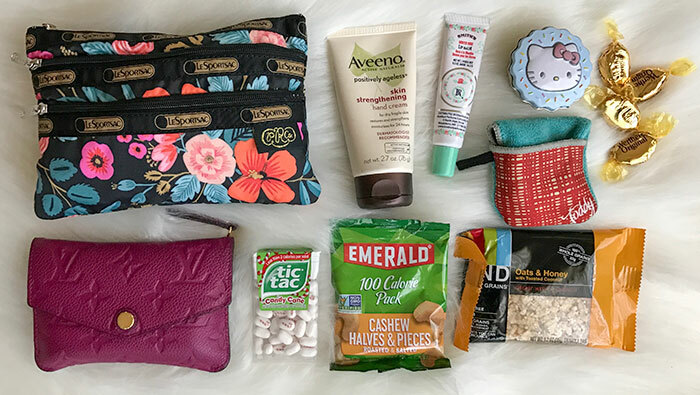 My stash of snacks, including Tic Tacs, cashews, a granola bar, and hard candies is tucked inside the interior zip pocket. I have a small tin of treats for my dog Winnie, as well. As for non perishable items, I keep Aveeno Positively Ageless Skin Strengthening Hand Cream (my current favorite), Smith’s Rosebud Perfume Co. Minted Rose Lip Balm (the best! ), and a Toddy Gear Pocket Toddy (a great microfiber cloth for cleaning devices and glasses) in one of the two interior slip pockets for easy access since I grab for those things most often. I’m now using a Rifle Paper Co/LeSportSac 3 Zip Cosmetic as my Walking Pharmacy pouch. This is where I keep my less frequently used odds and ends that I still like to carry with me, just in case, including a hairbrush, phone charger, and floss picks. I hope to put up a dedicated post sharing all of the contents of my current Walking Pharmacy soon. The rest of the bag is dedicated to all things baby. Most of her things are corralled into pouches to keep them tidy and grouped with like items for easy retrieval. I personally can’t stand having a lot of loose items in my bag. It all turns into a jumbled mess! The only loose items in my backpack are a Nuby Bug-A-Loop Teether, which I grab for often, and an Indestructibles Book, which is too big to fit into one of my pouches. I keep the Travel Boogie Wipes, Roshambo Baby Shades, and small baby wash cloth tucked into the second interior slip pocket. You know me, I love a good pouch! 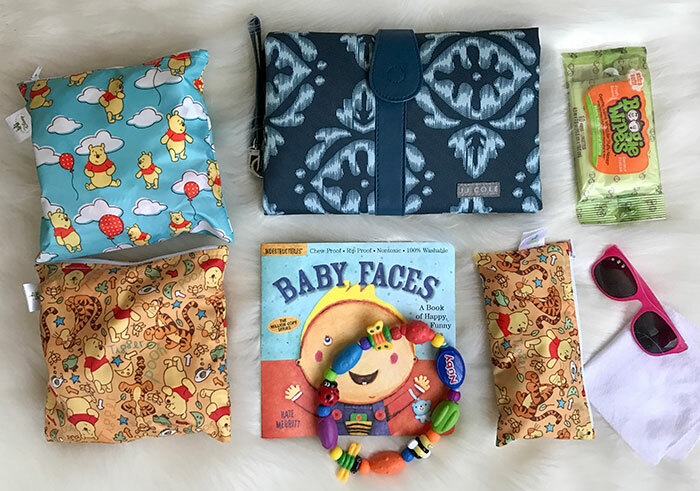 I’ve been using Bumkins Disney Baby Snack Bags (both small and large) to house the rest of Charlotte’s on-the-go necessities. They’re thin and lightweight so they don’t add unecessary weight and bulk to the bag. I love the JJ Cole Changing Clutch I have in our full diaper bag so much I bought a second one just for this bag. I only keep a couple of diapers in it and one pack of travel wipes to cut down on bulk. There are backups of changing supplies in my car if needed. Toys: Most of the time CC is content and occupied just looking around wherever we go on our daily travels, but on rare occasions I need to distract her and that’s where our stash of toys comes into play. The book and teether are my first go-to’s. 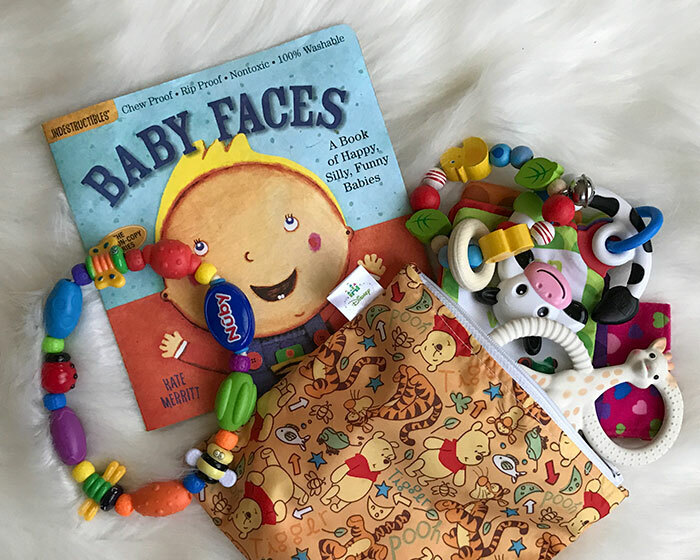 After that I grab the pouch where I keep several small toys, including a HABA Clutching Toy, Baby Einstein Animal Discovery Traditional Flashcards, Sophie La Giraffe So Pure Teether, Baby Paper, and a Carter’s Monster Mini Book. These are all items that live exclusively in my bag and CC only sees occasionally so they retain a bit of novelty when I need to distract entertain her. 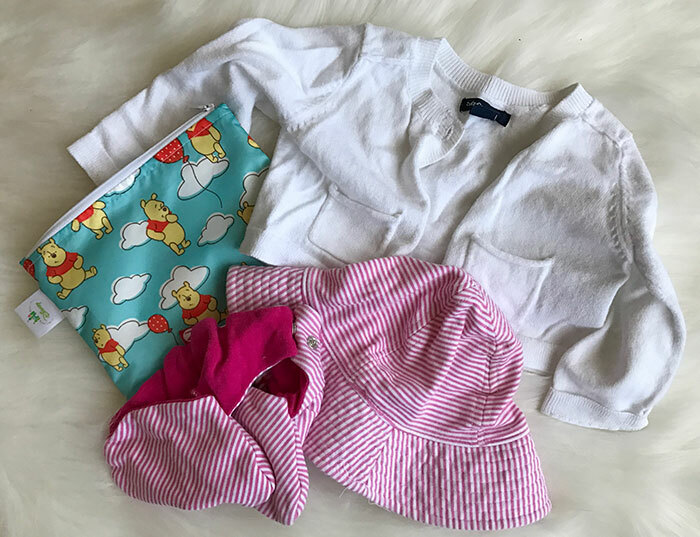 Layers & Accessories: I’ve carried around a Zutano Sun Hat and matching Booties, as well as a lightweight BabyGap cardigan for the past few months, which have served us well as additional layers in the warmer weather. Now that it’s cooling down, I plan on switching out these items for a winter hat, warmer booties, and a pair of mittens. I keep a backup outfit in the car just in case. 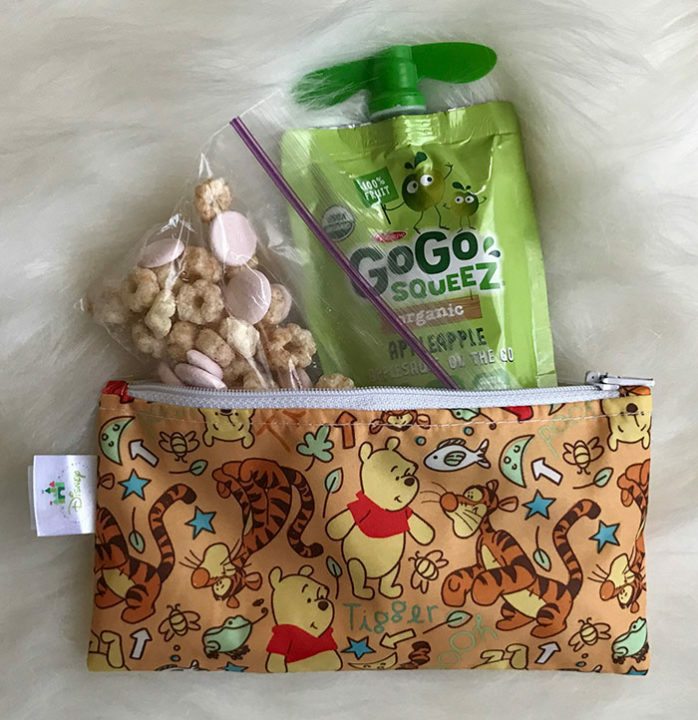 Snacks: CC’s two current favorite on-the-go snacks are GoGoSqueez Applesauce pouches and Happy Baby Puffs. Both are relatively neat, low clean-up food options that are great when we’re out and about. I’ve also recently added one of CC’s Bumkins Disney Baby Bibs to this little pouch just in case we stop off to eat somewhere spontaneously (in the past I have planned ahead for such outings and brought her own food and utensils in a separate bag, but she can now eat what we do cut into small bites which makes it easier to dine out without so much gear). And that’s it! It seems like a lot and it is, but surprisingly there’s still quite a bit of room left in this bag once everything is packed inside. It’s actually not very heavy at all with all I keep in it. This backpack has served me well as my “diaper purse” for the past few months and I can say with full confidence that it is truly my favorite bag ever because it’s just so me style-wise and incredibly practical to suit my current daily needs. I feel like I have everything I need plus a few extra “just in case” bits without going overboard. I hope you enjoyed this look at my new favorite bag and how I pack it as an on-the-go Mama. I’d love to know what bag you’re currently using if you care to share. It’s so fun to talk handbags with you! When my boys were little I didn’t carry a full diaper bag everywhere we went either. I had a stocked full size one at all times in the trunk of my car (just in case I broke down or realized I forgot to pack more diapers..you know the usual). But I carried a small purse size bag for every day use. It was so much easier and made my life so much easier. I carried a backpack as a diaper bag for my kids- so much easier! Thank you so much for sharing! 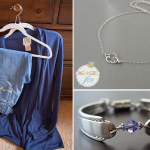 As a new mom with a 7 month old I am always looking on how to pare down our diaper bag. I switched to a backpack version after your post on your skip hop bag. Now you have inspired me again on how to reduce what I carry and organize my bag. I would love to see how you organize your car now and how you store and organize baby clothes as she grows out of and into them. Thanks! Loved the post! I have been watching for the right backpack for a while and am still not sold on which one is just right for me. May I ask what drew you to the Hulme bag rather than using the Jetsetter? After carrying (and loving) a nylon material backpack for a long time I knew I wanted to invest in something made out of leather. I’ve always loved leather bags and having a leather backpack purse was top on my lust list! Just love this post as much as the video. What an amazing bag. I wish this was available in Europe. Importing it from the States would be just too expensive. And you have amazing organization ideas. I have been in love with this bag since you posted about it a year ago. I’m on my way to having the funds together to purchase it and I wanted to see if you had any updates on the bag after using it for a while. How is the wear after using it for a while? How comfortable are the straps while wearing it? It’s a bit of an investment for me so just want to see how you are loving it after owning it for a year. Thank you so much Jen. I absolutely love this bag and still use it on a daily basis when not traveling. It’s comfortable, classic, and holds everything I need. I am not at all careful with it and it is in great shape. The straps are in [perfect condition. The leather is aging beautifully. It’s a winner in my books! Thank you so much Jen! I really appreciate you getting back to me. Your insights have helped me a ton. I’m looking forward to purchasing this bag next month for my 30th birthday. Thank you again. Best wishes for you and your family.